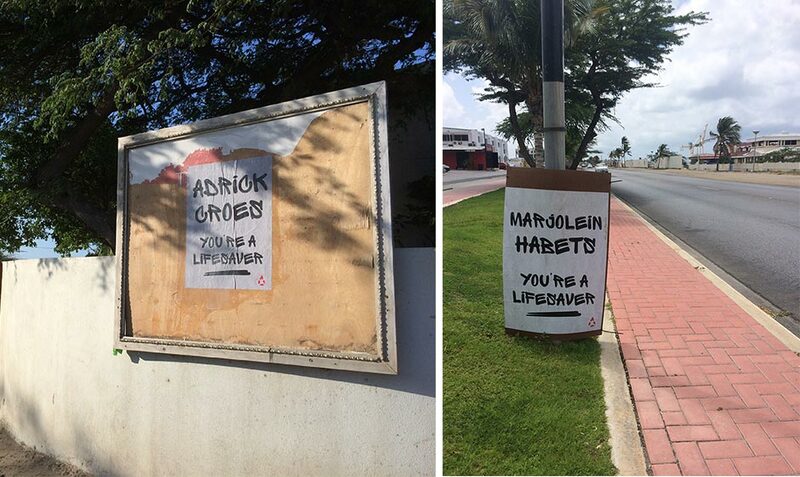 Stichting Bloedbank Aruba needs as many blood donors as possible between the ages of 25 and 45. 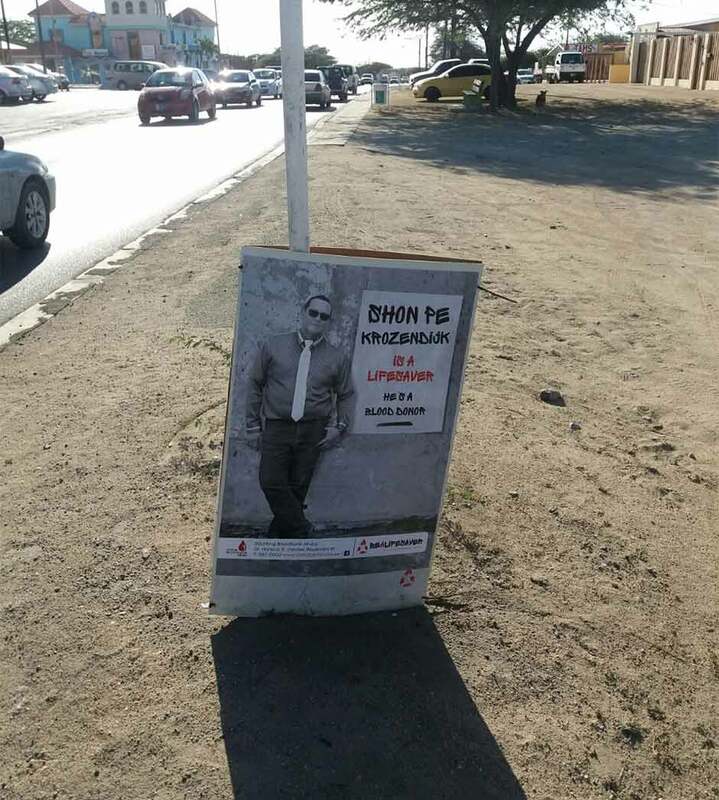 To create attention and awareness we spread posters around Aruba honouring blood donors. 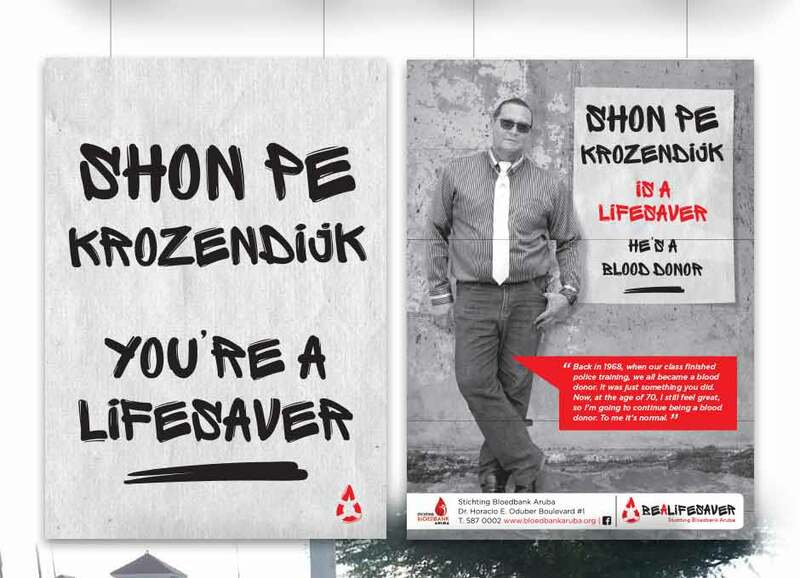 We used the names of real blood donors, real lifesavers.